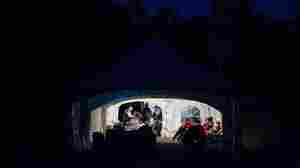 Canada's Army Builds Tent Camp For Haitian Asylum-Seekers Arriving From U.S.
August 10, 2017  Crossings into Quebec have spiked, as Haitians who fled after the 2010 quake face an uncertain legal future in America. Soldiers are building a shelter to house up to 500 people awaiting processing. September 17, 2014  Scotland's referendum on independence has implications beyond the borders of the United Kingdom. We take a look at several other regions with breakaway movements. February 3, 2014  Flames tore through the facility last month. It took 10 days for searchers to look through the building, which was encased by ice after firefighters poured water on the blaze. 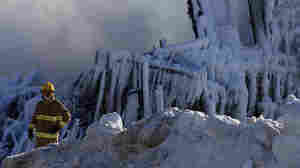 While 27 bodies have been recovered, it's believed that five other people died there. Bone fragments will be tested. 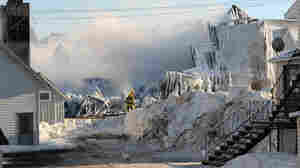 January 25, 2014  The official death toll from the blaze that swept through the Residence du Havre in Quebec province is eight, but 30 people are still unaccounted for in the frozen debris. January 24, 2014  The blaze at a complex that housed the elderly quickly engulfed much of the building. 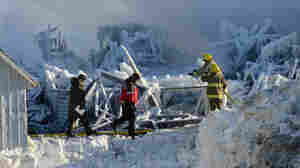 Investigators were having a hard time searching for victims because water used to fight the flames had frozen over the scene. A key question: Why was the complex only partially fitted with sprinklers? December 16, 2013  Forty seven people died in July when a freight train derailed and dozens of tanks carrying oil exploded and caught fire. 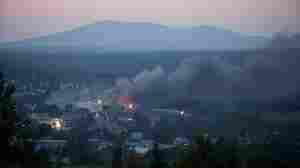 Much of Lac-Megantic was leveled. For the first time since then, freight cars will travel through this week. Officials say they'll only carry "dry goods." Residents are worried. July 22, 2013  A freight train with more than 70 fuel-filled tankers derailed and exploded in a small town on the Maine border two weeks ago. 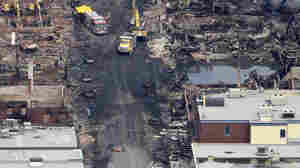 Authorities are still searching in the rubble. July 11, 2013  Twenty bodies have been recovered so far. Authorities hold out little hope that any of the 30 other people missing after Saturday's train derailments and explosions are still alive. July 10, 2013  Investigators are looking at whether the brakes were properly set or if something was done to the train. At least 15 people were killed when freight cars loaded with oil derailed and exploded. 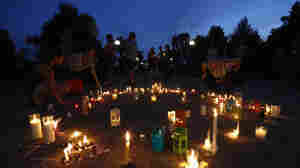 Dozens more in the town of Lac-Mégantic are missing. July 9, 2013  Even as the people of Lac-Mégantic whose homes weren't destroyed return, dozens of their neighbors remain missing. 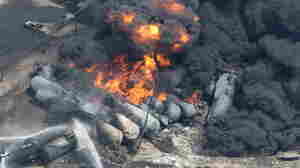 The town was devastated Saturday when a freight train derailed and tank cars filled with oil exploded. July 8, 2013  Five people are known to have been killed when tank cars loaded with oil derailed and began exploding on Saturday. But when Monday dawned, another 40 people were still unaccounted for. July 7, 2013  The death toll has risen to three after a train carrying crude oil derailed in Quebec on Saturday. The blistering explosion destroyed a town center, and officials say the ongoing fires are keeping rescuers from searching the rest of the train. July 6, 2013  The train had been stopped outside the town and was unmanned when it started to move again. After some cars derailed, a fire broke out. Explosions followed. Authorities say that one person as died. February 26, 2013  A government agency in Quebec, Canada, has come under intense criticism after attempting to get pasta stricken from a restaurant's menu. 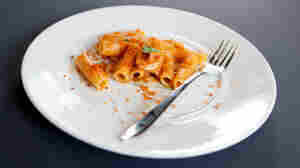 The move had nothing to do with the food: Officials said Italian words such as pasta, calamari, and antipasto should be replaced with French words.